High tensile crimped stainless steel wire. 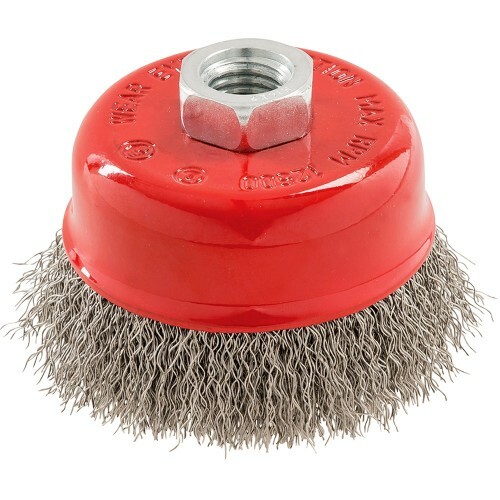 For rust and paint removal, descaling, deburring and preparation of welding seams. 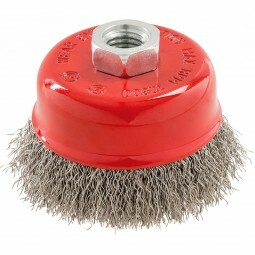 For metal and stone working, cleaning, surface preparation and fabrication tasks. M14 x 2 female thread.